Let Steartech IT Solutions manage the hardware, software, networks, printers, phone systems and other business systems that you need and use each day. 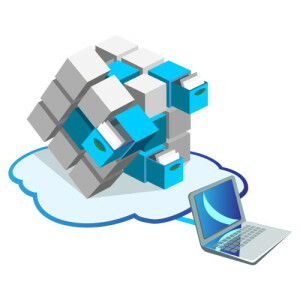 Our managed IT services encompass storage, cloud, virtualization, collaboration, mobility, and more. We perform asset management, manage your security, backup and disaster recovery. We also find the best ways to keep you connected with your customers. Our managed IT services deliver the IT skills and expertise to help you realize the full value of your investment. Steartech IT Solutions starts with defining the right IT strategy for your business. From there, we design a solid and flexible architecture. Let us evaluate and implement the products and services that will be components of that architecture. We watch it day and night to make sure it’s always running. Your business needs determine which parts of your infrastructure you keep in house, which you colocate or host with Steartech IT Solutions, and which bring the best value when delivered in the cloud. That includes storage, security, applications, traffic management – every element of your IT landscape. Steartech IT Solutions covers the full IT spectrum. But, you hire us to cover only what you need. We take on some, many or all of the tasks involved with planning, implementing and maintaining your IT operation. Steartech IT Solutions provides Virtual CIOs, engineers, technicians and IT support staff who have certifications that encompass virtually every major manufacturer, standard and methodology. Let Steartech IT Solutions become part of your digital marketing. We help you plan, create and implement CPC campaigns, build and host your website, enable e-commerce, manage and monitor your email and e-newsletter campaigns, and more. Turn to Steartech IT Solutions to help you get all your IT assets under control. That includes ensuring your licenses are up to date, taking inventory of all your hardware, and tracking your warranties to be sure they’re current.